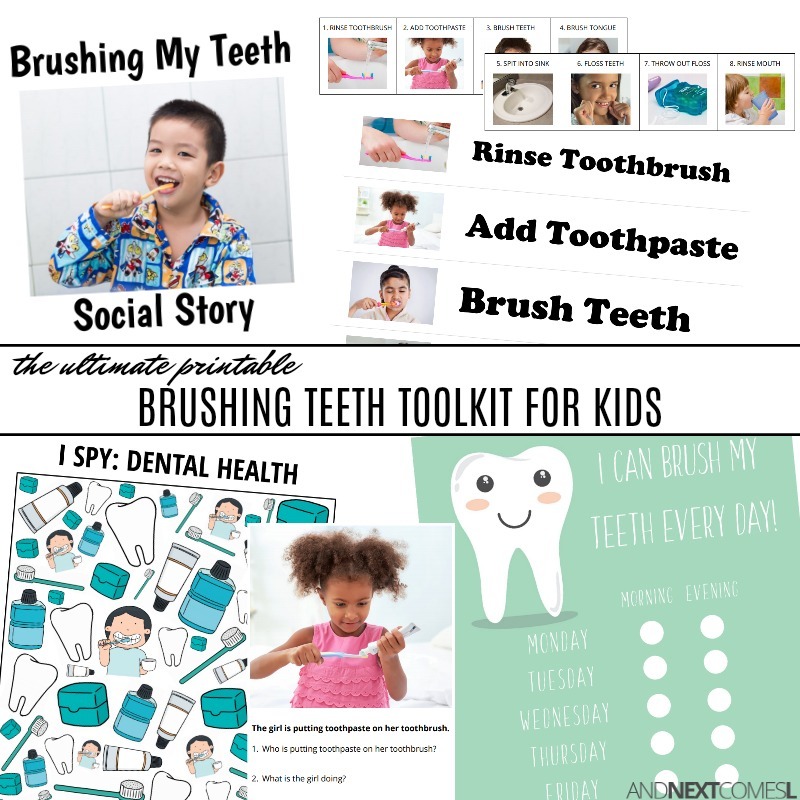 Printable resources to help your kids master brushing their teeth independently! This printable pack focuses on teaching the skill of how to brush teeth independently. Filled with visual aids, a detailed social story, and a routine chart, this pack is a great tool for kids with autism or hyperlexia. It also includes activities to help with language, comprehension, and WH questions, all based on the theme of brushing teeth. There's also a dental health I spy game and matching game for added fun and learning! WH question cards that teach kids what, why, how, and when to use toothpaste, toothbrushes, etc.